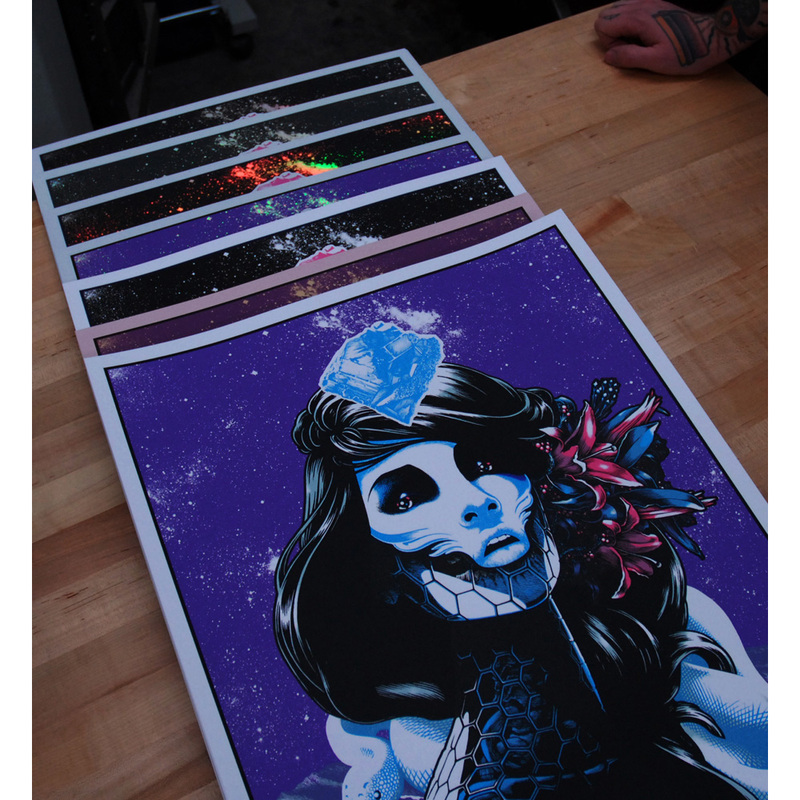 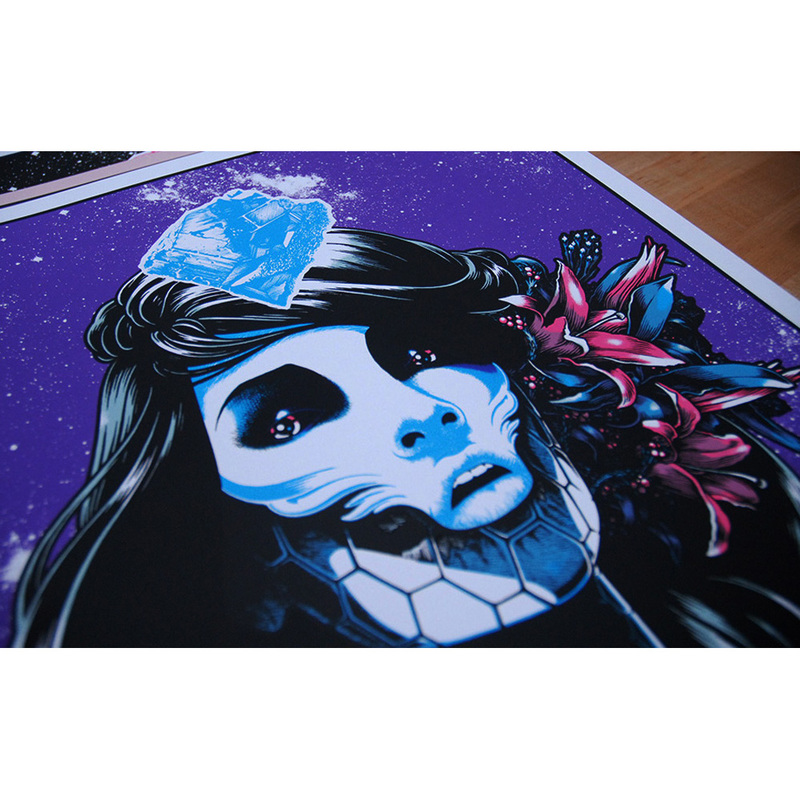 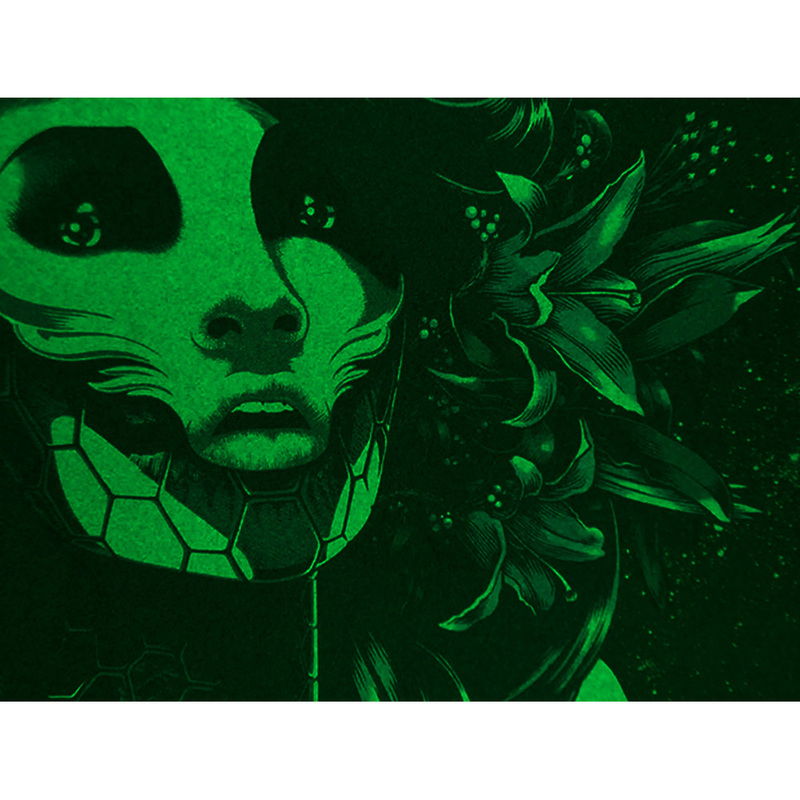 We just finished working on the next release in Anville’s ‘Obsidian’ print series titled: ‘Dysnomia’. 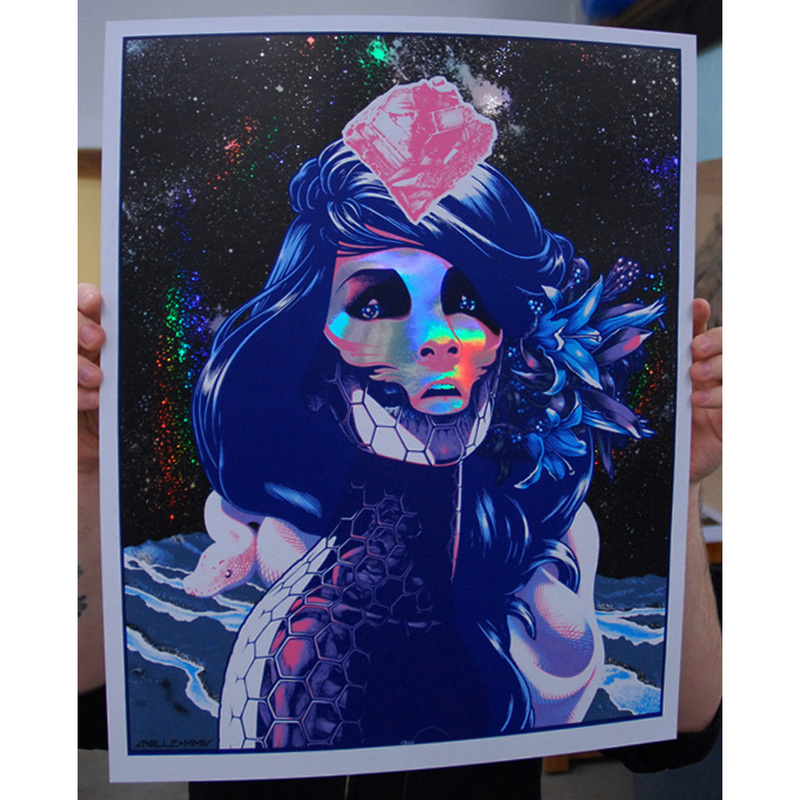 The 4th of this series is a 16×20″ silkscreen, printed on cougar 100# white coverstock, holographic & matte gold foils. 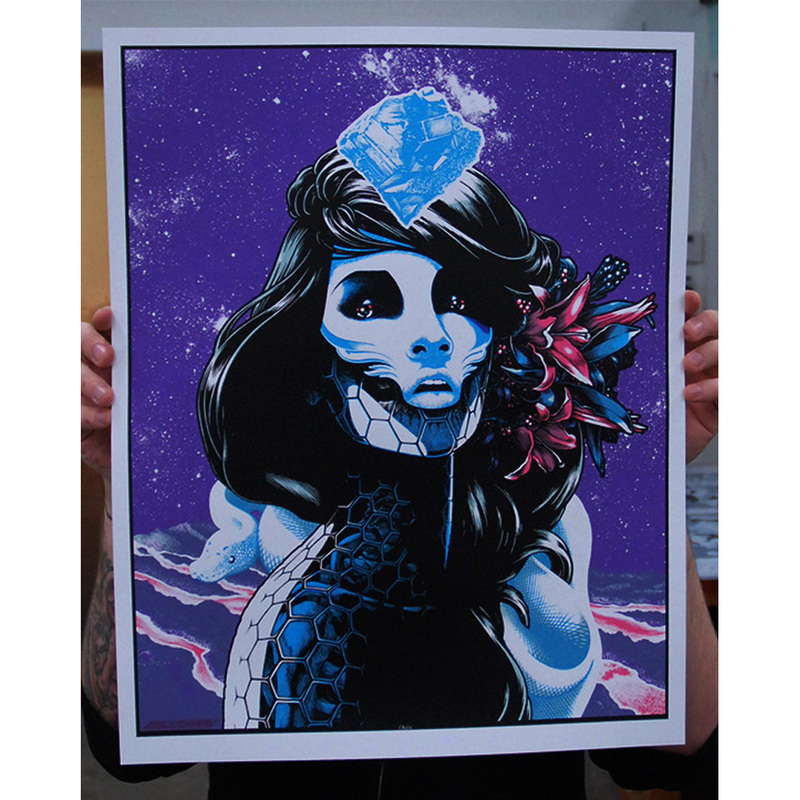 The main edition is a 5-color print, with 6 & 7 color variant editions.